This is a wonderful penthouse apartment, right by the beach in Barcelona. It is a modern, recently renovated studio apartment has a perfect location. The neighbourhood is packed full of things to see and do, including plenty of cafés, restaurants and bars, as well as supermarkets, a shopping centre and a cinema in the nearby Port Vell area. El Born and the Gothic Quarter can be reached quickly and easily with a 20 minute walk and there are excellent public transportation links from Barceloneta, meaning you can travel around the city. 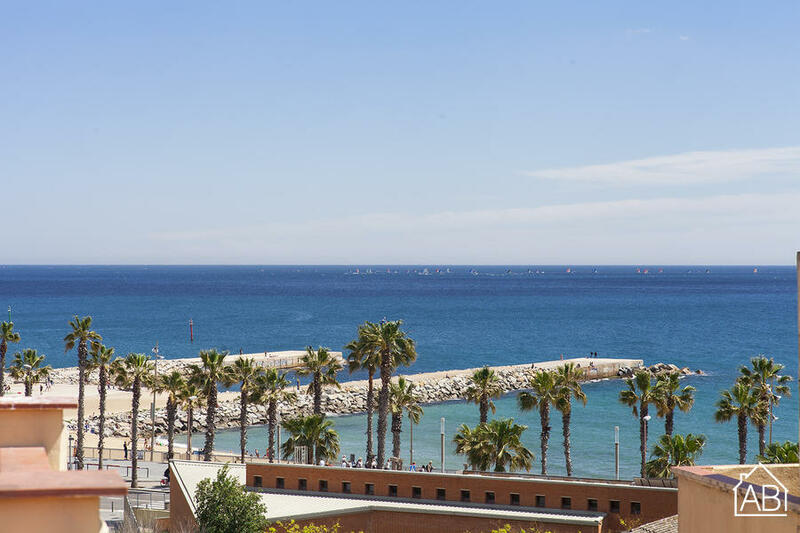 The apartment has a bright décor, sea views, and a fantastic 12m2 private terrace. The apartment can accommodate up to 2 people, making it ideal for couples or solo travellers. It comes complete with WiFi, and satellite TV, as well as heaters and air-conditioning, making it a good choice of home-from-home in Barcelona at any time of year.